For a while now a small group of campaigners have been educating people about the Boycott Dogs4us campaign outside the Leeds store. 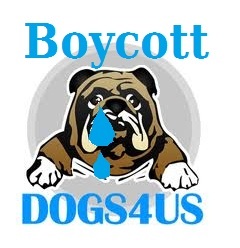 Boycott Dogs4us today received reports of leafleting from a number of towns and cities nationwide. 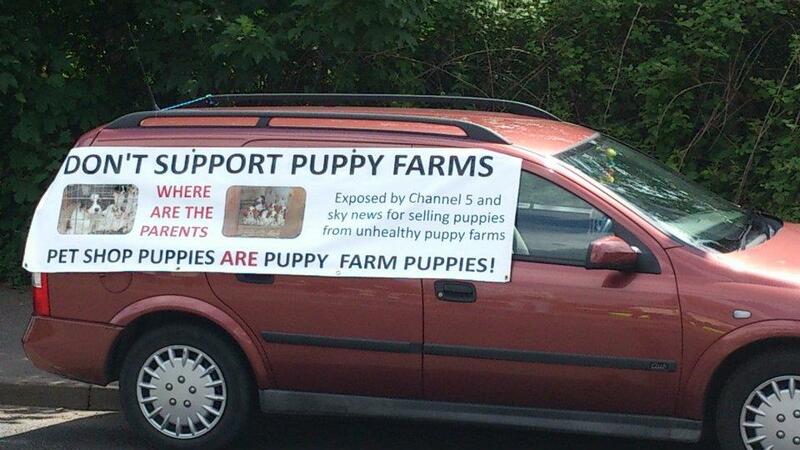 Activists have been handing out various leaflets against Dogs4us today exposing the fact that the company has been exposed by Sky News and Channel 5 for being supplied by puppy mills. 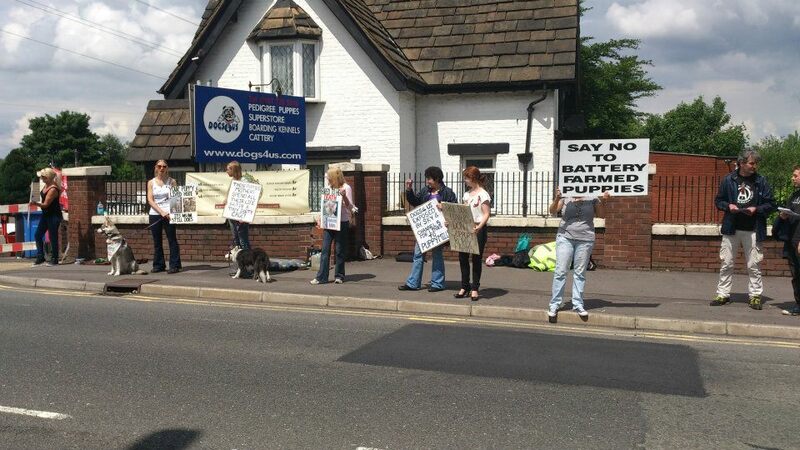 The news comes as Dogs4us posted pictures on their site of campaigners protesting their Manchester store but were careful to blank out a banner exposing the fact that undercover footage from their suppliers have been all over Sky News and Channel 5. Dogs4us, soon the footage of your suppliers will be seen by thousands of people and everyone will know the truth about your business – time to stop selling puppies Dogs4us! Dogs4Us – They didn’t know what hit em’! 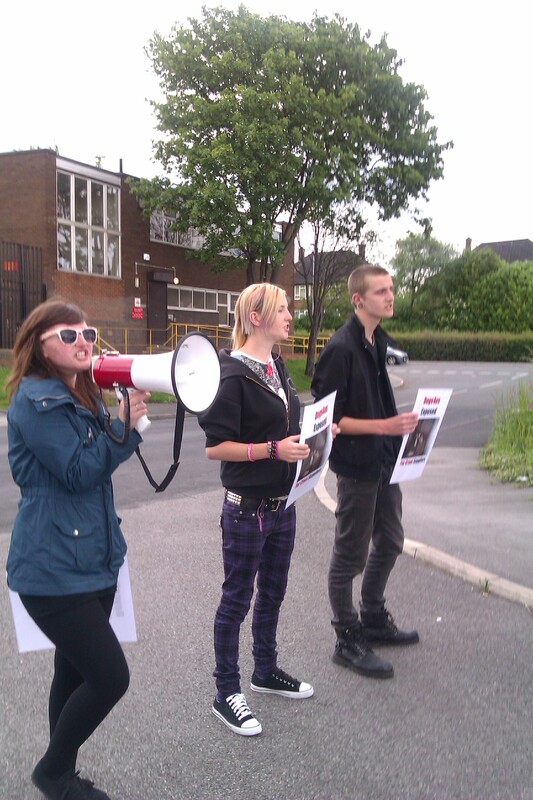 Yesterdays protests were an unmitigated success with about 40 activists between the two Dogs4us stores in Leeds and Manchester. 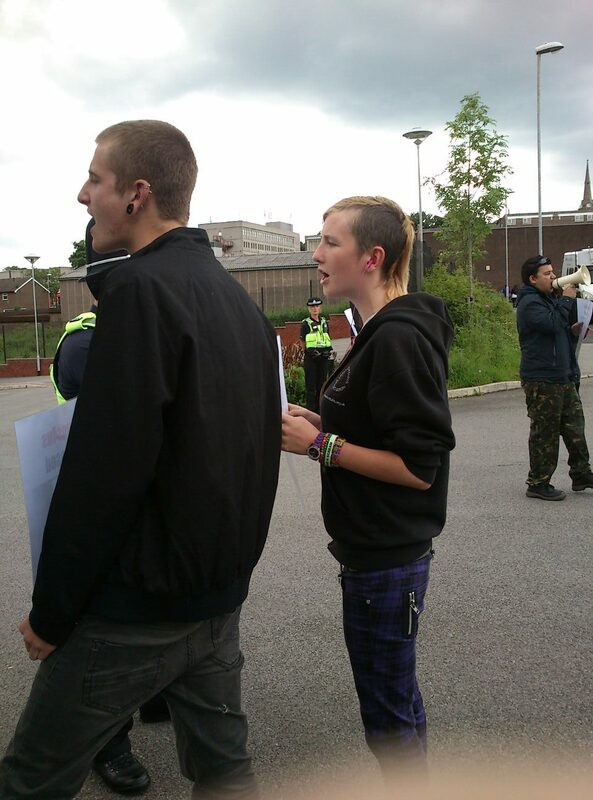 The Manchester protest was the larger of the two as Manchester is the main store. 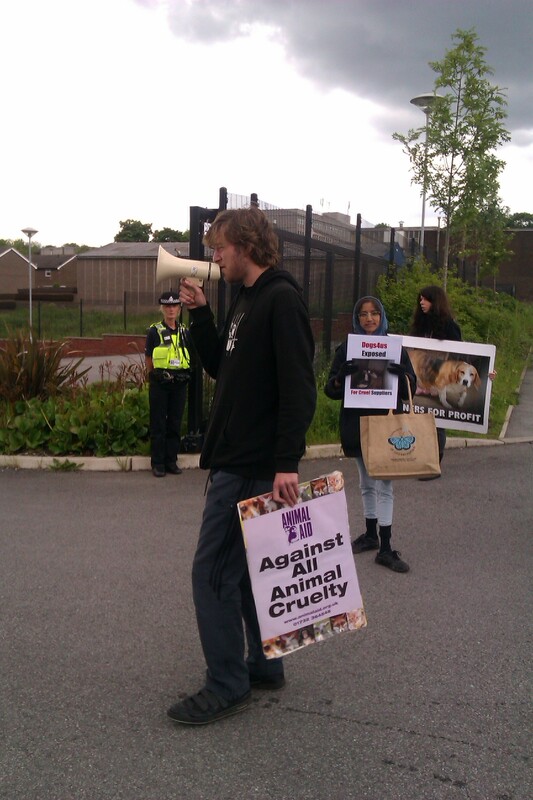 The Manchester store had over 25 protesters and 5 dogs (all welcome on our demos). People driving up to the main store were horrified to find out about Dogs4us’ dirty dealings and many turned around and refused to buy from Dogs4us once they knew the truth. 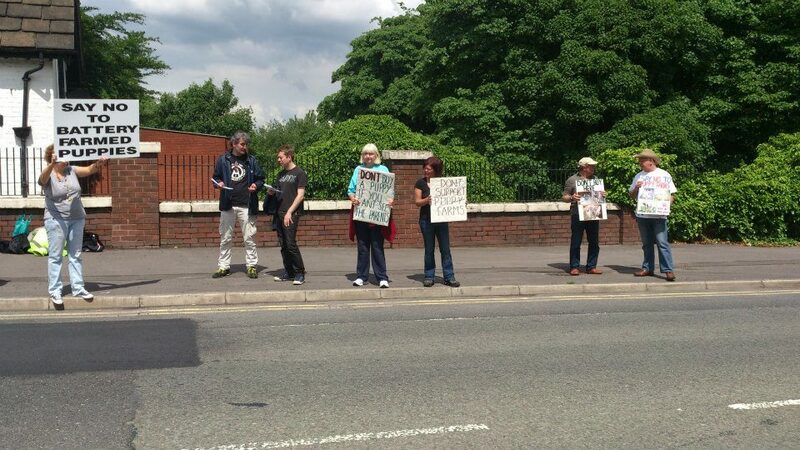 Many people honked and tooted in support of what we were doing, many leaflets were distributed and people came and spoke to activists about not buying but adopting instead. This campaign will not stop until Dogs4Us stop selling puppies and we are going from strength to strength. In around a month of the new phase of the campaign we have over 3000 likes on our Facebook page and an online group of 1000 activists. 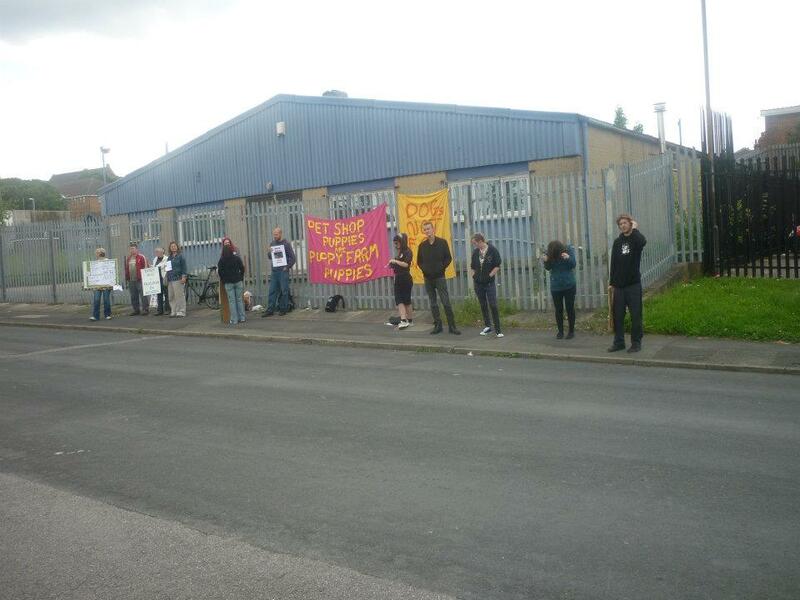 Join us for a lawful protest outside either their Leeds or Manchester store. Dogs4us continue selling puppies in their pet shops. 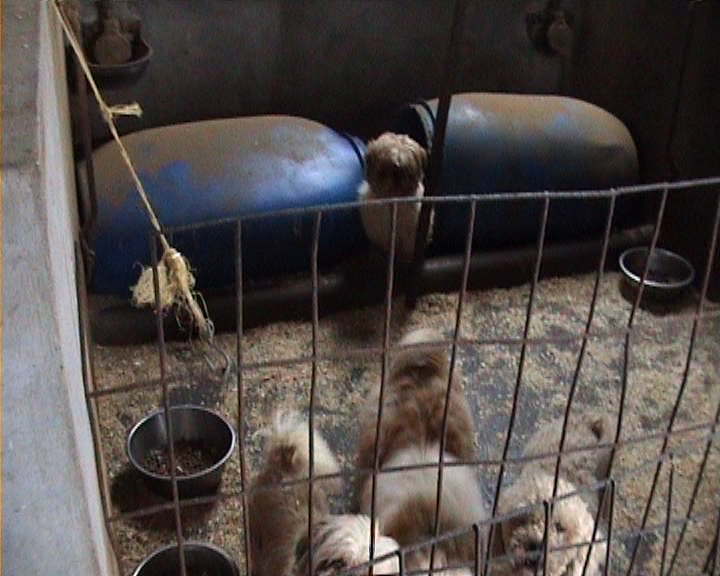 They have been exposed before buying from horrific puppy farms. We say enough is enough. Its time for Dogs4us to stop selling animals like products. It’s time for us to unite and stop this! If you can offer transport please get in touch with us and we will add you to the list. 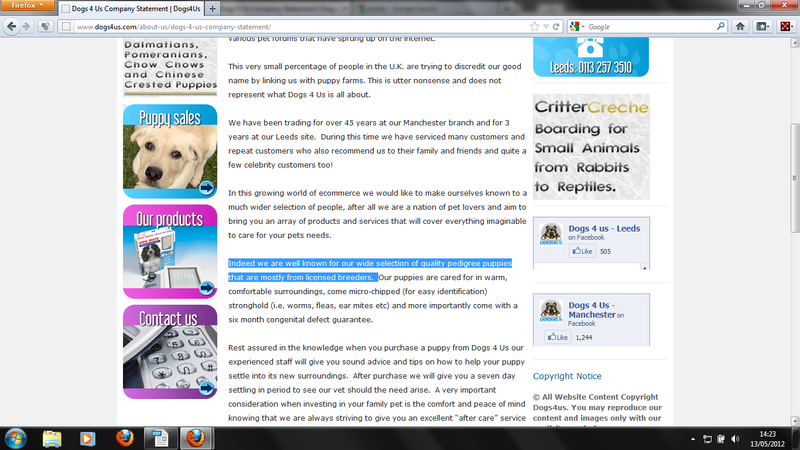 Dogs4us claims they are ‘Mostly’ Using Licensed Breeders! Dogs4us in a desperate attempt to defend their sale of puppies have stated on their website that they ‘mostly’ use licensed breeders as a source of their puppies! 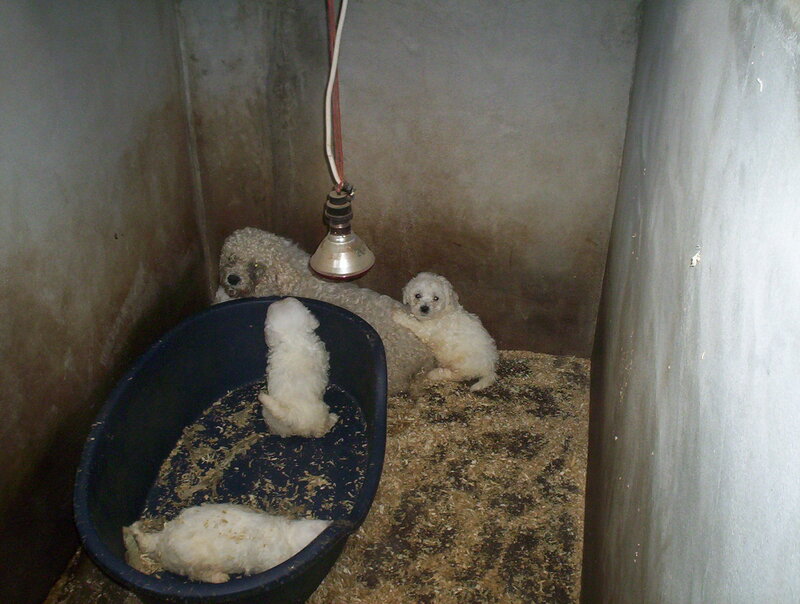 While we know that a breeding licence doesn’t mean good conditions as the many welsh puppy mills attest, we find it remarkable that Dogs4us do not even view this basic minimum as a necessity for their puppies! So where are ‘some’ of your puppies coming from Dog4us? Unlicensed breeders? Individuals? ie. backyard breeders!